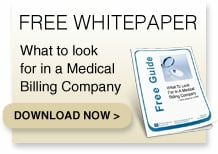 Medical Billing Resources was founded in 1997 as a multi-specialty billing service. With over 30 years of professional billing and coding experience, our new clients routinely see double-digit increases in reimbursements, accelerated cash flow, and reductions in accounts receivable. Our existing clients have stayed for years due to our high collection rates, low denial rates, and speedy cash flow. MBR was founded under the philosophy that education, experience, and technology would ultimately reduce practice costs and increase the physician’s income. Many years later, we have found this to be a successful business model. We are highly educated, motivated and persistent. Today it’s challenging to bill and collect every dollar that the practice is entitled to at a reasonable price. 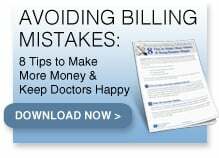 Billing is no longer a matter of just filling in a claim form and getting reimbursed. Over the years the collection process has become so highly complex and time consuming that billing has turned into a specialty unto itself. 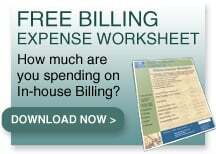 MBR’s staff is made up of certified coders (CPC’s) and certified specialty coders to ensure all allowable fees are billed. We work closely with our clients to advise and educate them on proper documentation guidelines. Information technology plays a critical role in keeping costs down. The latest technology is far too expensive for any one practice any more. We spread those IT costs over a large client base, benefitting each practice so; they are able to profit from the latest technologies without incurring their costs.